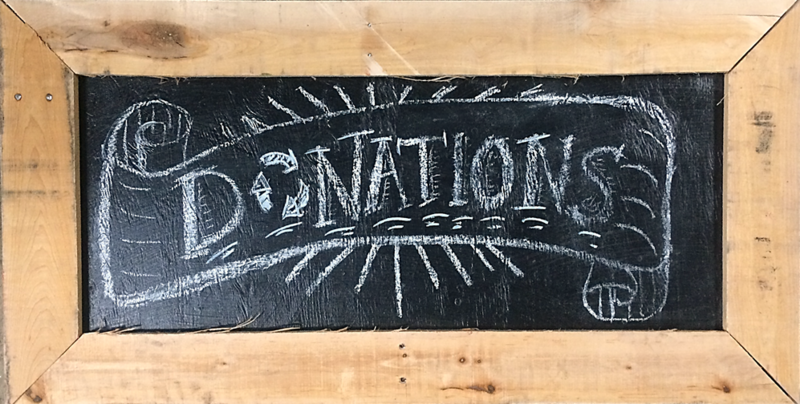 This post is written by guest author Josh Singer, founder of Wangari Gardens – CF helped our friends at Wangari Gardens get started earlier this spring with a donation of a small tool shed, lumber, and a door. We love the good work they are doing for the community and are excited to see it all take shape! Wangari Gardens, the community garden started by the author, is dedicated to late Nobel Laureate Professor Wangari Maathi. 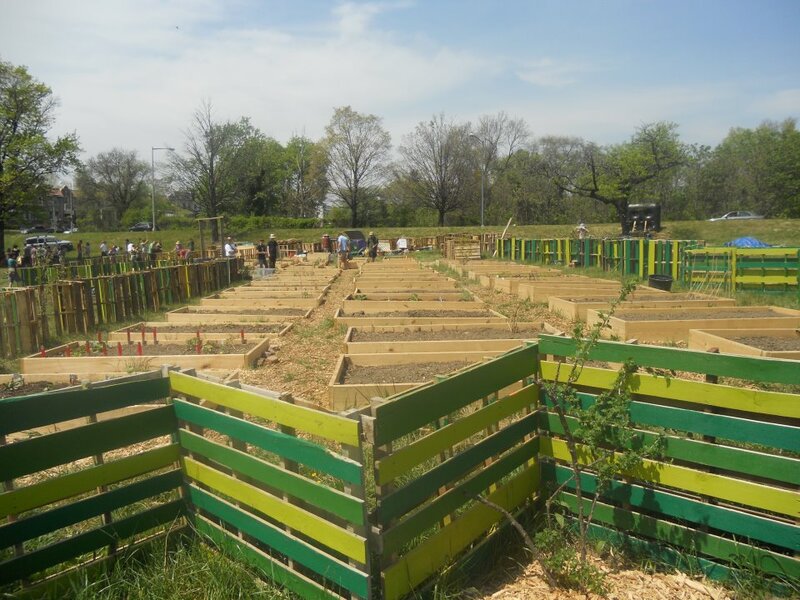 Wangari Gardens is a 3-acre community garden built this spring to spread Prof. Maathi’s message of using green public space for the non-commercial benefit of the surrounding community. Constructed in Park View next to the Washington Hospital Center, the garden is divided into two parts: rented family plots and a space left open for community recreation. The first section, comprising 60 raised bed family plots, is the focal point of the park. A plot rents for $50 a year to anyone residing within a mile and a half radius of the park and financial assistance is available. There are also accessible plots available for people with disabilities. a 40-fruit orchard forest garden with figs, pawpaws, mulberries and jujubes. All of these gardens are open to the public. We just ask that people take only a little, pick only when ripe, and don’t pull any roots out. Depending on a D.C. Department of the Environment (DDOE) grant, Wangari may construct a rain garden which would purify rainwater into an underground cistern and use solar power pumps to water the garden. In theory, it could sustain the entire project, which would then be completely off the grid. Wangari’s education garden fuels community partnerships with local schools, hospitals and after-school programs. They hope to offer a variety of garden workshops to the public. Plans for the future include additional family plots every season, a medicinal forest garden, and a wheelchair path. 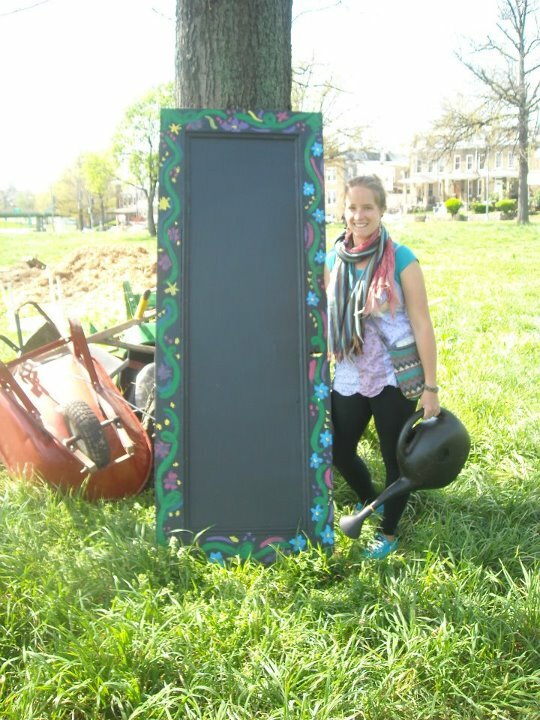 At left: Sarah (one of the founders of Wangari Gardens) standing proudly with the door that CF donated – transformed with some paint into a beautiful chalkboard for their new educational garden!